By: Tanya Conlu -Coordinator for Southeast Asia, on behalf of NTFP-EP and Kevin Chang, Kuaʻāina Ulu ‘Auamo. 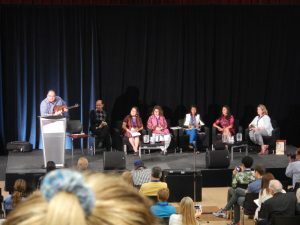 Members and partners of the ICCA Consortium congregated in Halifax, Canada last May for the Communities, Conservation and Livelihoods Conference. The conference, co-organized by the Community Conservation Research Network and the IUCN Commission on Environment, Economics, and Social Policy (CEESP), gathered over 400 participants from NGOs, the academe, and communities. 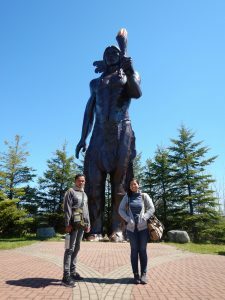 It started with a field visit on the first day, in which we went to territories of the Mi’kmaq First Nations and learned about their rich history, culture, and present day concerns. 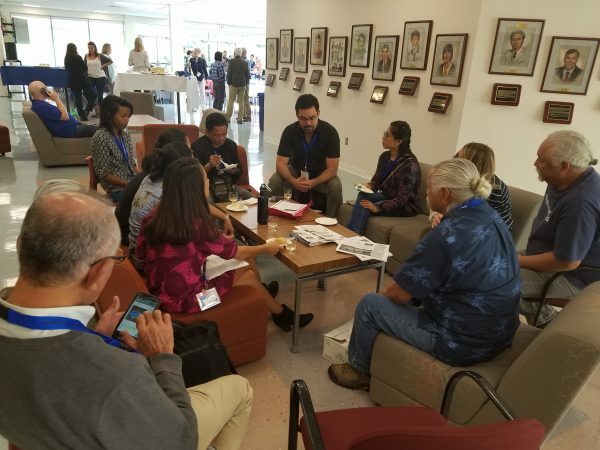 There were several sessions and presentations around ICCAs and by Consortium members throughout the conference, from fisheries to upland communities, human migration and peacebuilding processes, and species habitat restoration. 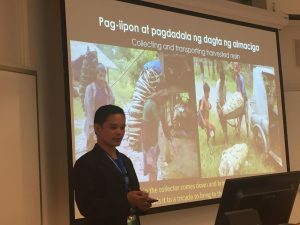 The ICCA Consortium network in Southeast Asia hosted a one-hour session titled “Creating Fair Market Spaces for Indigenous Communities’ Products”, which discussed ICCAs and livelihoods, including some of the ICCA initiatives in the region. Three communities from Indonesia and the Philippines which have community-based enterprises for resin, rice and weaved cloth using natural dyes for their livelihood and culture were showcased. As communities often have limited or no access to consumers and markets, the assistance of an intermediary can be very helpful in product development and marketing, and most importantly, in breaking free of long and restrictive value chains. Various marketing platform models which bring local, fair and sustainably produced community products to urban centers were shared. ICCA members also went to a well attended luncheon to learn about the new IUCN Indigenous People’s Member Organization category. Current IPO members recently successfully advocated for an IPO member on the IUCN Council. IPO members described some of their evolving agenda which broadly includes moving IUCN and regions to be more attuned to local and indigenous communities on the ground. They also reached out to those who may have interest in future membership an issue which the current IPO members hope to advocate more feasible accessibility to IPO membership. A session on transforming social conflicts in conservation presented case studies of different conflict resolution mechanisms that have been used to resolve current and historic conflicts deriving from issues such as overlapping ICCAs and protected areas or forced displacement of Indigenous Peoples and Local Communities. Peter Kitelo and Justin Kenrick (FPP) described how the Whakatane Mechanism was piloted in Mount Elgon in Kenya to codify community bylaws and challenges they faced in the process. Colleen Corrigan shared her doctoral research in Australia on integrating Indigenous indicators in natural resource management. Sol Pili Kaho‘ohalahala (KUA) shared parts of the Kumulipo creation story, reminding us how everything is connected. These stories and the other presenters demonstrated that there are different mechanisms and processes that can be drawn on to transform conservation-induced social conflicts towards peace with different benefits and challenges. The contributions through sessions, papers, posters, speaking engagements, and a song performance talked about traditional governance and management of natural resources and elevated the role of indigenous peoples and local communities in conservation. Amidst the flurry of concurrent sessions, we had a chance to meet on the last day during the 70th anniversary lunch celebration of the IUCN. We shared updates and issues and caught up with each other’s work. It was a short 4 days but we learned much about the culture and concerns of First Nation peoples in eastern Canada, and also of those indigenous and local communities who shared pieces of their places, experiences, and issues. We gained some useful networks and relevant, practical strategies and solutions we could use in support of ICCAs we live and work in.